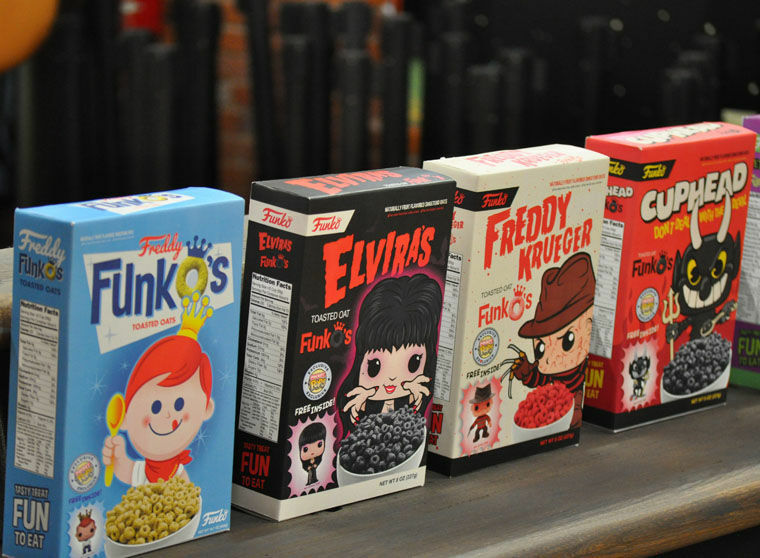 Funko Founder Michael Becker unveiled a new product line for Funko, which is cereal with mini-Pop figures included in the box. The line, which will be marketed through collectible store outlets as opposed to grocery stores, goes on sale in June 2018. As an added feature, the Elvira cereal, named after Elvira Mistress of the Dark, will turn black, and the Freddy Krueger cereal will turn red, when milk is added. 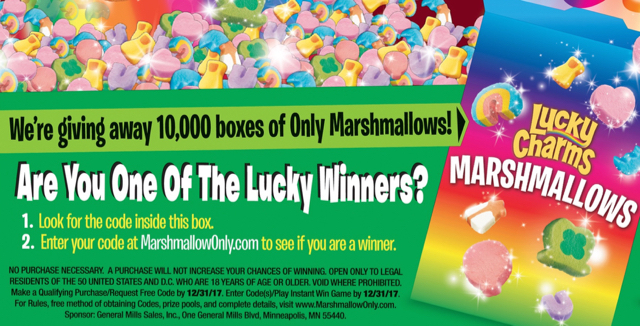 You Could Win 1 of 10,000 Boxes of Lucky Charms Marshmallows! So this year Lucky Charms has decided to go big, unleashing 10,000 boxes of Lucky Charms marshmallows. Yes, you read that correctly. 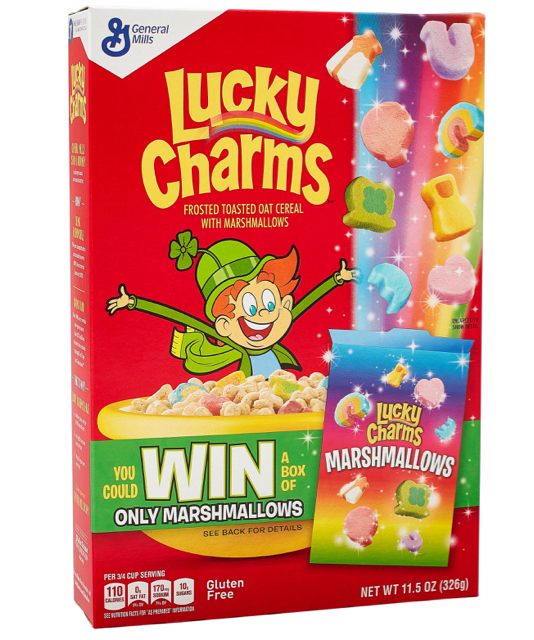 If you are lucky enough to have a winning code, you’ll receive a special Lucky Charms Marshmallows box in the mail a few weeks after entering it on the website. 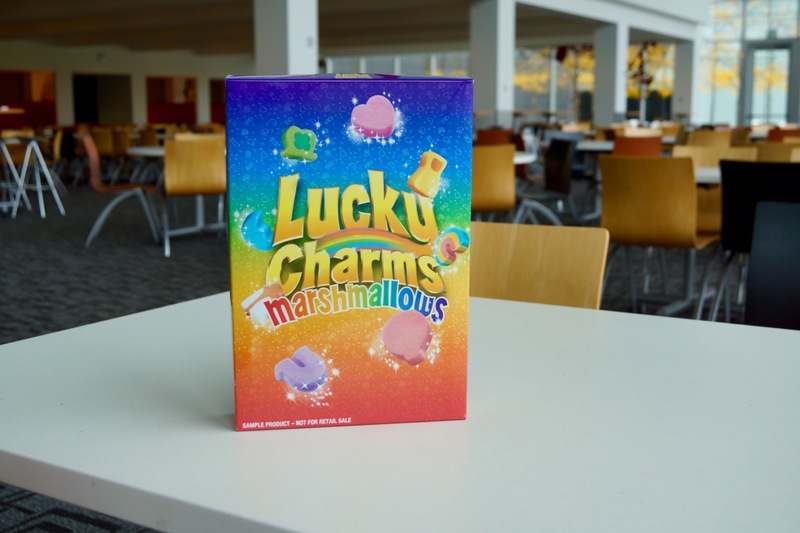 Once you receive your marshmallows box, share a photo or video on Lucky Charms’ Facebook, Twitter or Instagram pages. 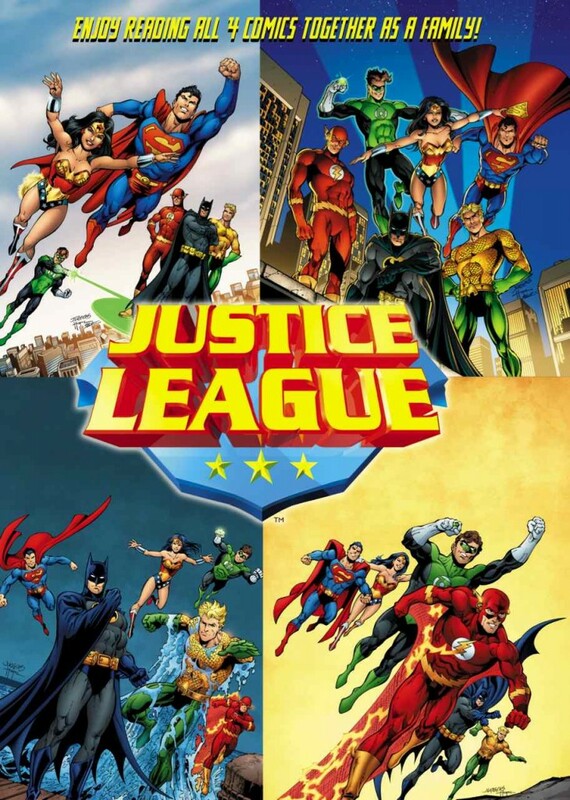 The Justice League has come to the front, back and inside of several of General Mills cereals. 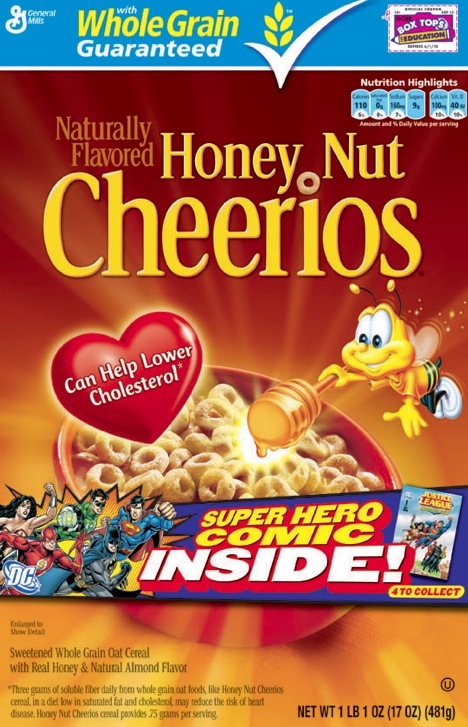 It’s the latest partnership with Warner Bros. Consumer Products, on behalf of DC Entertainment, available on boxes of Honey Nut Cheerios, Multi Grain Cheerios, Trix, Lucky Charms, Cocoa Puffs and Cinnamon Toast Crunch. 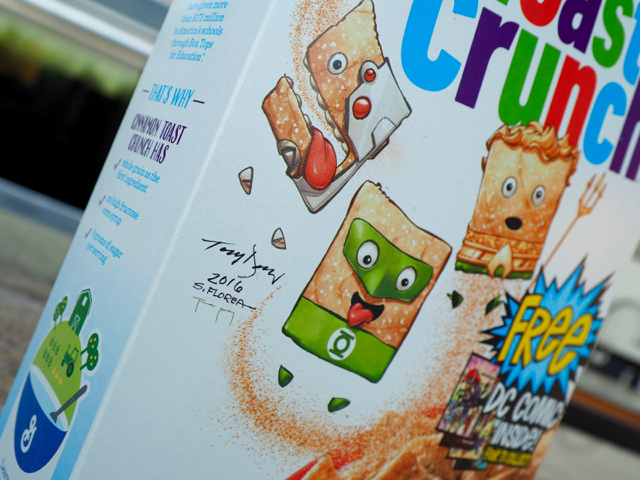 Six cereal boxes are getting a complete DC Super Hero makeover. 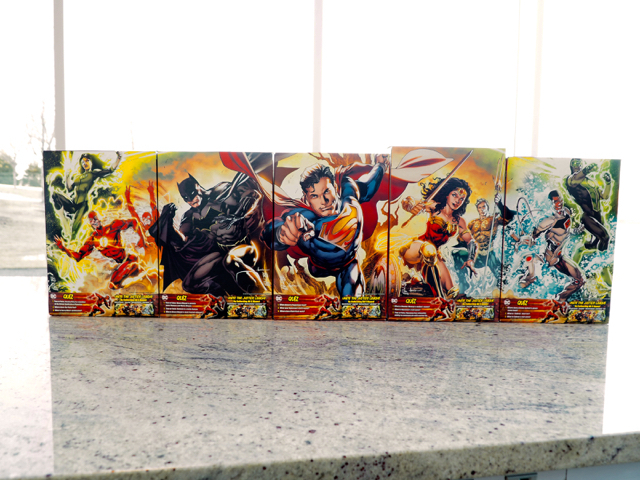 The front of five boxes feature transformations of our General Mills’ characters, and one box features Wonder Woman. And the action doesn’t stop there. 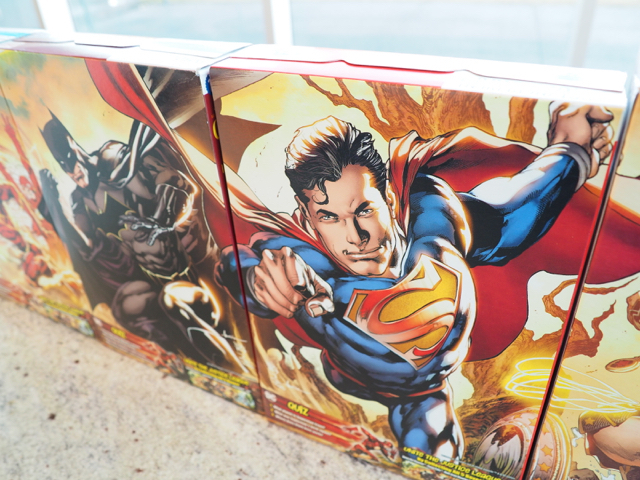 The back of the boxes, when lined up, make a powerful panoramic, designed by well-known comic book artist Ivan Reis. After 26 years in the industry, Reis has created classic-modern artwork for more than 200 comic books. 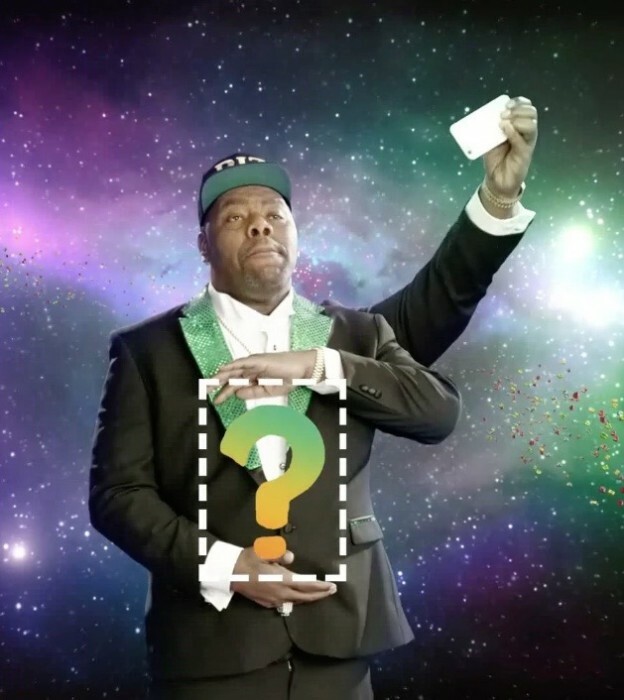 He told us he enjoyed the challenge of creating the back-of-the-box composite art. 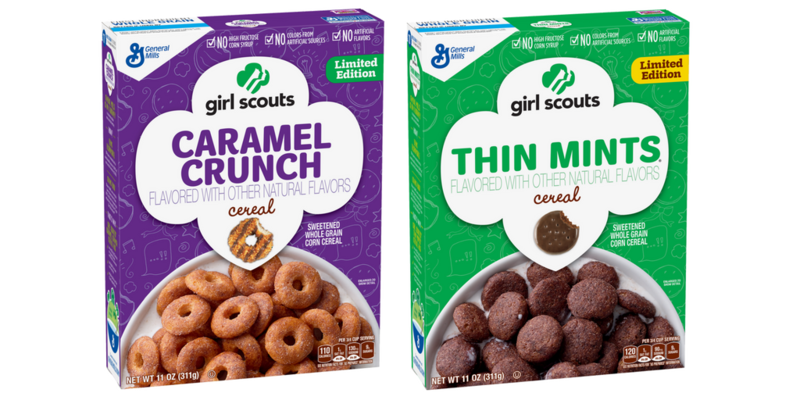 This week, General Mills very quietly teased via Twitter the news that Girl Scouts Cookie cereals will be available in stores as of January 2017, but didn’t give much more information than that. From the picture alone, however, it looks like Thin Mints and Caramel Crunch (Samoas) made the cut. 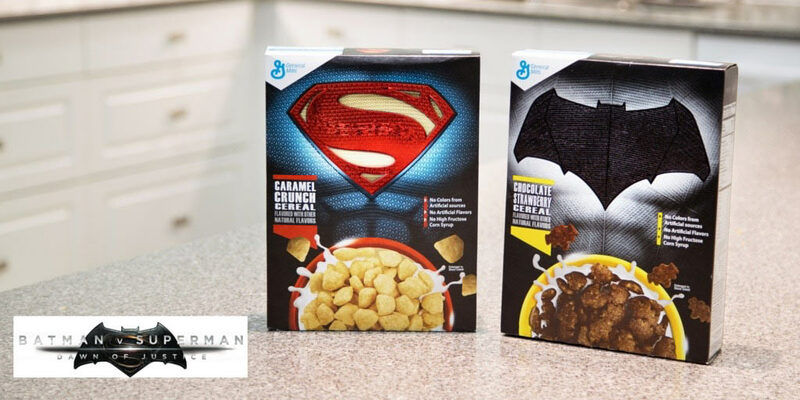 Batman and Superman are returning to the cereal aisle! 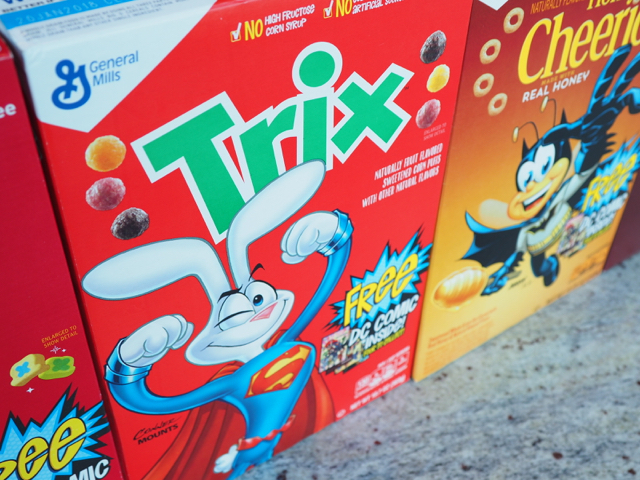 Inspired by the upcoming “” movie, General Mills has teamed up with Warner Bros. Consumer Products to bring the iconic DC Comics characters back to a cereal box. You can find them now on shelves across the U.S. as “Superman Caramel Crunch” and “Batman Chocolate Strawberry.” Superman Caramel Crunch pieces are shaped like the Superman shield. The pieces in Batman Chocolate Strawberry are modeled after the Batman emblem. 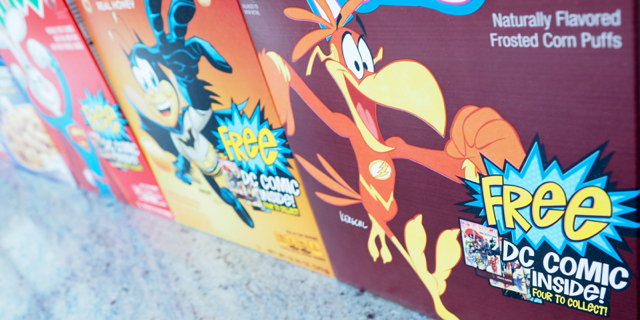 The two cereals will officially debut at the Wizard World Comic Con in New Orleans, later this week (January 8-10). 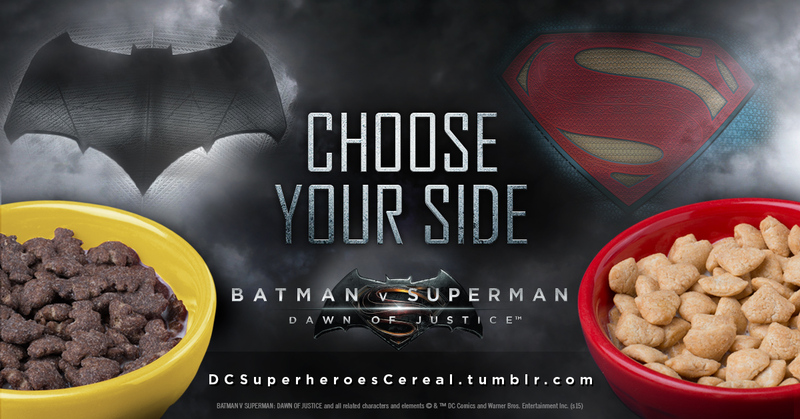 Fans can visit DCSuperHeroesCereal.Tumblr.com to find fun content about Superman Caramel Crunch and Batman Chocolate Strawberry, coupons and more. Batman v Superman: Dawn of Justice hits theaters on March 25. 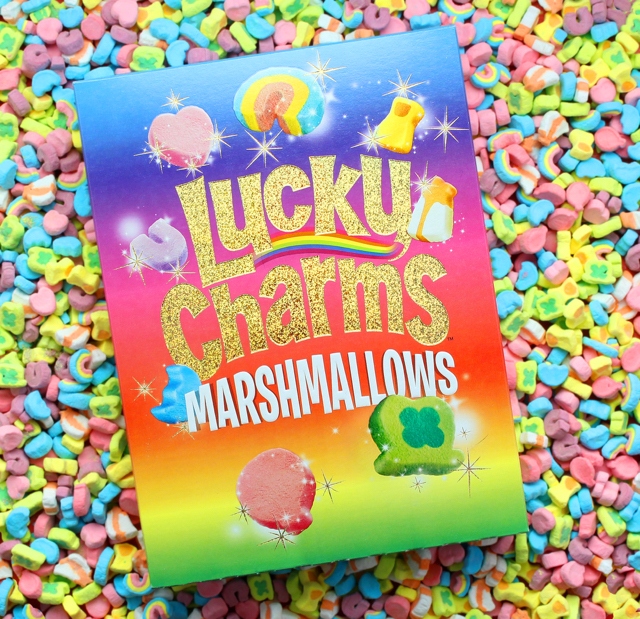 Well marshmallow maniacs, Marshmallow Only Lucky Charms are here and there are only 10 boxes available! The sweepstakes ends October 18. You must be 18 to enter and a legal resident of the United States or District of Columbia. There are three ways to enter- via Facebook, Twitter or Instagram. Limit of three entries per person, one per entry method. Potential winners will be notified on or around Oct. 20, 2015. For full rules and regulations, visit the Lucky Charms Facebook page. 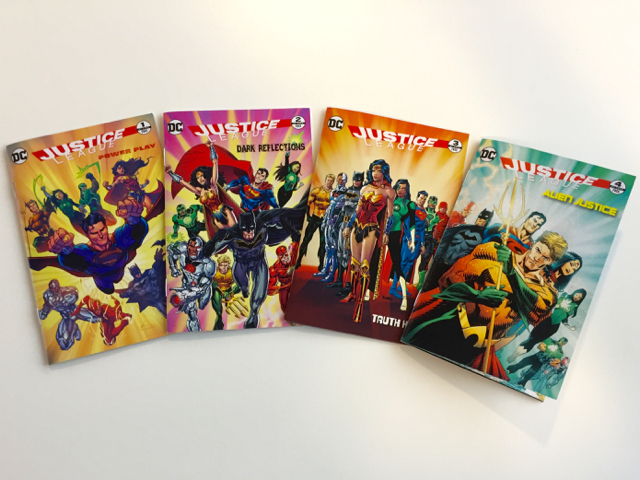 Back by popular demand, select General Mills Big G cereals now include four collectible comic books featuring the iconic DC Comics’ Justice League characters, on shelves now through April 2014. 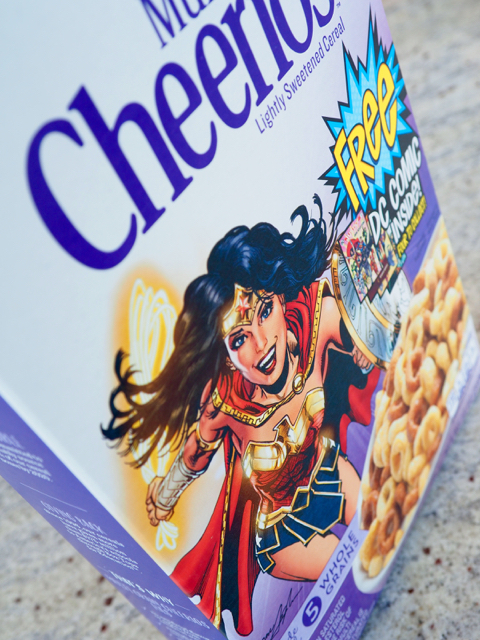 Four specialty issues created exclusively for General Mills, in partnership with DC Entertainment and Warner Bros. Consumer Products, can be found in grocery retailers nationwide, with a bonus fifth issue available only in select boxes of Cheerios at Target. Like any good comic book with a nail-biting cliffhanger, fans who have read Part One of each in-box comic book can then visit www.BigGCerealHeroes.com to read Part Two. Participating Big G cereals include Cinnamon Toast Crunch, Lucky Charms, Honey Nut Cheerios, Trix, Cookie Crisp, and Reese’s. 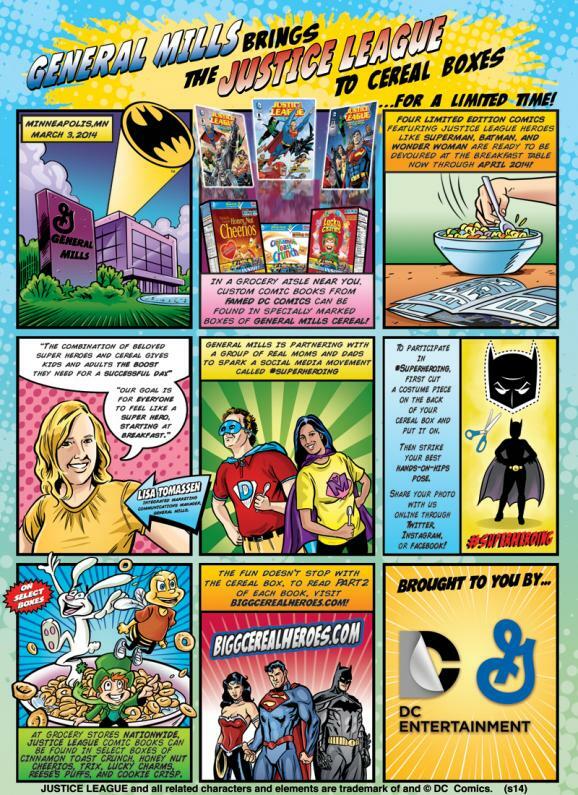 Visit www.BigGCerealHeroes.com to get more information and view exclusive General Mills and DC Comics content. 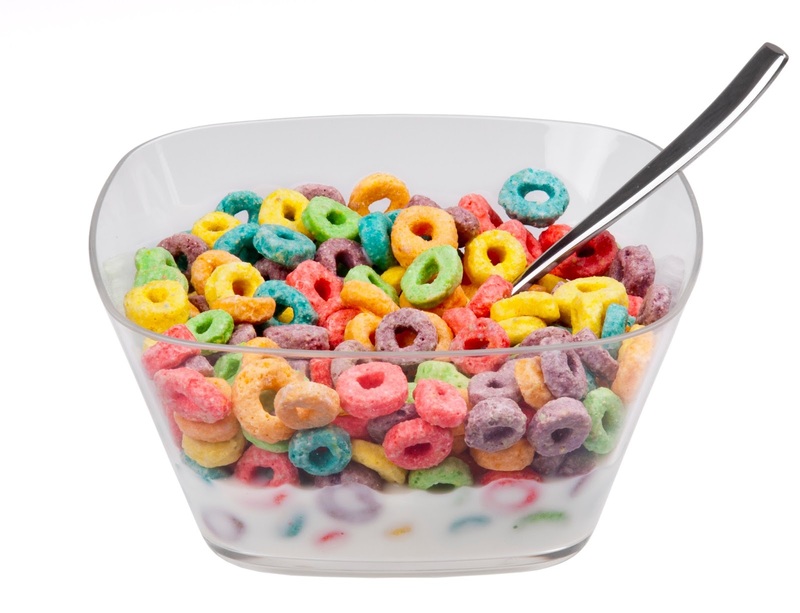 To find Big G cereals near you, please visit http://www.generalmills.com/ProductLocator.aspx. Don’t feel bad as Trix and Fruity Pebbles yielded similar results.